It comes as news to no one that police officer morale right now isn’t exactly through the roof. Many law enforcement professionals, both current and active, contend that the corporate media and a misinformed public have combined to paint police officers in a negative way with an extremely broad brush. Police officers are human beings, too, and just as likely to mount a rhetorical defense when they feel like they are under attack. In Mississippi, the governor used to be a sheriff’s deputy. Like a lot of current and former law enforcement professionals, he’s not willing to sit back and let what he feels are baseless charges of racism and unnecessary police violence go unaddressed. 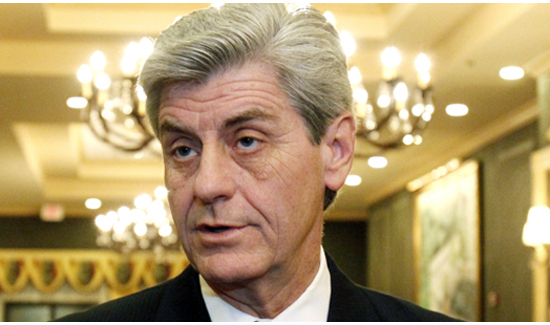 So, Governor Phil Bryant recently wrote a strongly worded opinion piece for a local newspaper. While it’s likely to resonate with most cops, the comments responding to the governor’s opinions are an excellent barometer with which to measure the ever-growing disconnect between the law enforcement community and the public they serve and protect.